We loved our stay in Appin from Beginning to end. Thanks for going out of your way to offer us every comfort while we were there. Corrie was a perfect place for the two of us, comfortable, cosy and well appointed. Great location – cosy place – great kitchen – comfy bed! Great location – cosy place – great kitchen – comfy bed! We were very pleased with the place : quiet, attentive owners, well-stocked kitchen. We would definitely recommend the place. Beaucoup de balades a pied ou en velo a faire. Reseau cyclable developpe. We found Corrie at the very last minute. What a find! We've had 3 great days here and although the weather was wet at times it's been fantastic. The apartment is part of a 17th century house and next to a working garden centre in a very old walled garden. We did not meet our host but we had everything that we needed to make it a perfect stay. We would recommend dinner at the Pierhouse Restaurant (not cheap) and the 10 minute ferry trip to Lismore. As a self-catering apartment for 2, Corrie has suited us fine. We are oldies with restricted mobilities and simple needs. It was clean, well equipped and tastefully furnished and pictured. And well heated - necessary even in late July. We enjoyed the Wi-Fi facility and the TV. Mobile phone was marginal. 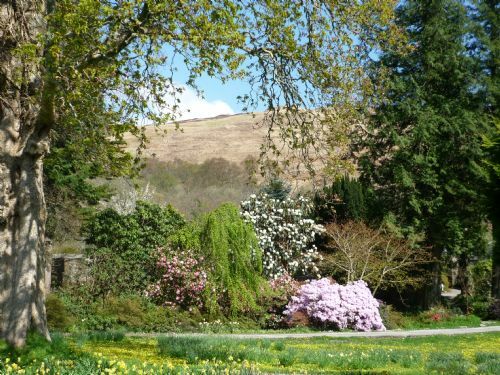 Very peaceful surroundings, and a delight to have the excellent Kinlochlaich Garden Centre right on the doorstep. Was good value compared to hotels, and nice to be able to do one's own simple catering. Shopped at the Co-Op and had treat-meals at the Pierhouse Hotel, both in Port Appin, a few minutes drive away. Would recommend it for a walking and/or bicycling, or car-touring, holiday in quiet surroundings, with lots of single-track back-roads with passing-places, and close to the sea. As oldies, we would have appreciated a handrail in the shower, otherwise no complaints about facilities. I guess we expected more of a cottage feel. It was quite claustrophobic and musty. Felt like we were in the back alley servant's quarters, not a part of the "house". I think if they try to continue to upgrade and refurbish (get rid of all the old stained carpeting, etc.) it will be nicer. Sorry Corrie didn't meet your expectations. 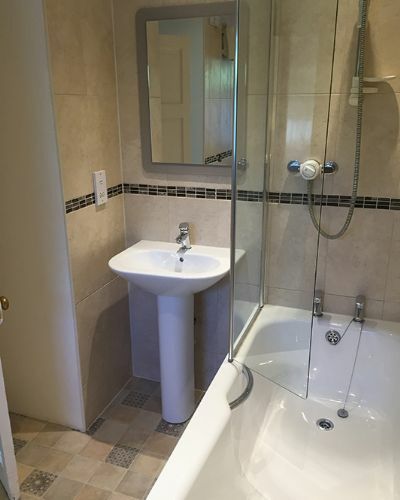 Hope you liked the modern bathroom! We had a wonderful week in a most glorious place. We loved the apartment and its coziness. THe walks all around were great and we particularly liked the walk to Port Appin and getting the ferry over to Lismore. As avid birdwatchers we saw about 50 species, the icing on the cake was seeing the Sea eagle on the last day. Comfortable flat in very good location. 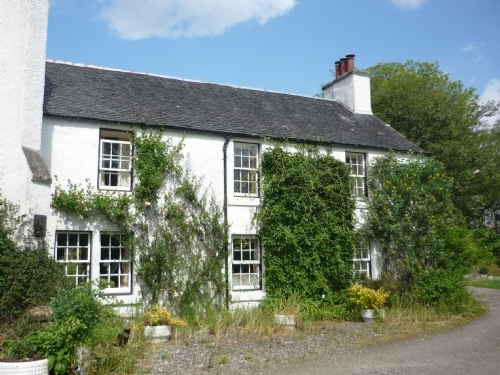 Excellent location near Oban and Port Appin. Good walks from the house. The smoke alarm is a little over sensitive so open the door if you grill bacon! 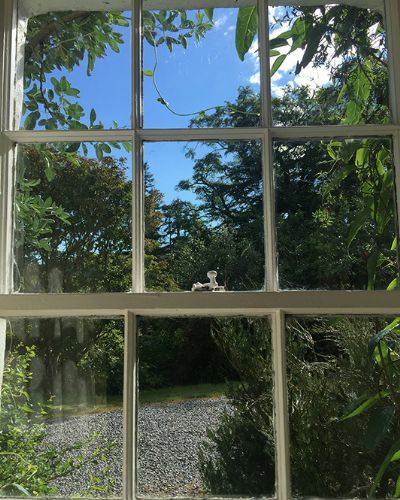 We had a lovely time staying at Kinlochlaich House. Although an old building it was very comfortable and had all the mod cons you could want. We particularly thought the brochures provided both in and outside of the apartment were excellent. Lots of good information provided on the local area. I would say, however, that a car is required to get around the surrounding area. Mind you there were some excellent walks right on the doorstep. Had a very relaxing time. Most beautiful appartement located in wonderful gardens. Charming furniture. Excellent location between Oban and Fort William. All attractions are easy to reach ( on foot, with the car, there are bicycles to let in Port Appin, ferry to Lismore ) If you have questions or need something the owner is very helpful. Outstanding is the policy of Green Tourism. The cottage is lovely, with plenty of space, new bathroom amenities, and a well-supplied kitchen. The instructions for getting to the cottage were perfect, and taking public transit was no problem, though the buses do not run very often. There was a TV with a DVD player and movies, and strong WiFi. My only criticism was having to clean before leaving; I felt for the price it would have been nice to be able to go without hoovering, stripping the bed or wiping down the bathroom/kitchen, since I was on holiday. Very friendly staff and nice gardens to walk through. We saw in the new year 2016 at Kinlochlaich. After a long drive in floods and high wind we stepped out of the car to a clear and starry sky. The approach up the track shows off the main building in fine perspective and over the next few days we explored the area. We enjoy sea kayaking so it was great to be able to spend the last day of the year paddling around Shuna and Castle Stalker with seals following us, snow capped mountains in the background and a bold otter coming within a few feet of our boats. The gardens looked as though they must be amazing in the growing season and the tree house looked fantastic. 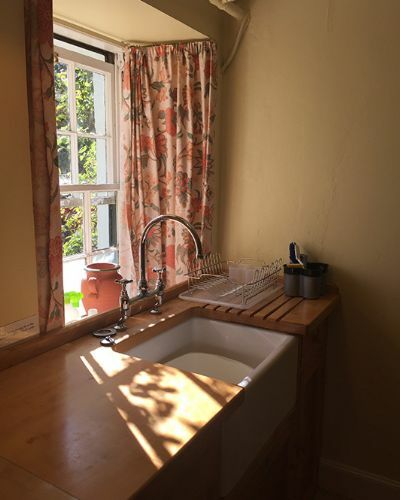 We stayed in "Corrie", the smallest of the self catering options on offer, and it suited us perfectly as well as being spotlessly clean and comfortable. Above all, the and was outstanding. Donald and Susie gave a wonderful warm welcome and we even ended up seeing in the new year with our hosts. Wholeheartedly recommended. My daughter in law's parents stayed in Corrie last week. They were delighted, they were very comfortable and they said that it was so clean.The surrounding gardens are so beautiful; and the hills beyond , even in November. 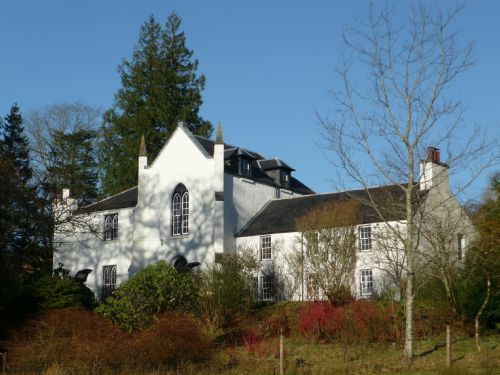 I loved staying at Kinlochlaich house. Quiet and comfortable. Great to have access to a washing machine after weeks on the road. Very handy location for all the gardens I wanted to see. The property was located in an area that meant various attractions were accessible. It was easy to find yet private enough to feel restful after action packed days. The owners were very helpful and provided lots of information re the area and had equipped the premises well. Would definitely recommend the property to friends. 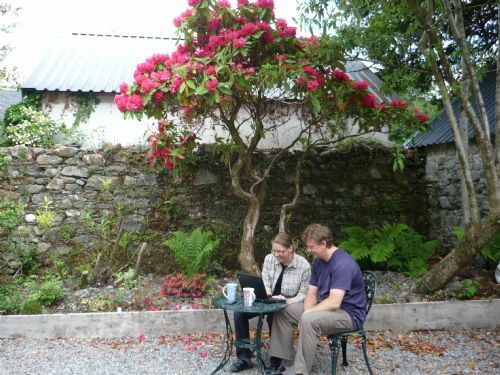 Corrie was perfect for us, homely and comfortable to come back to after a day out. Great location, lovely grounds to wander about in & friendly owner. We had a very nice stay at this lovely accomodation; whith a cosy bedroom/sittingroom, well equipped kitchen en bathroom. The estate with its garden is a beautiful place to have a little walk and there are places to sit down and relax. The owner Suzy, was very hospitable. We felt at home here. This is one of the most comfortable, welcoming, simply lovely cottages we've stayed in over the last few years. Our host and hostess were welcoming without being intrusive; the furniture and bedding are very comfortable; it was spotlessly clean; the location was perfect. We simply couldn't fault it. We're already planning a return trip. Very nice apartment in splendid location. Excellent area for discovering the west coast of Scotland. Very friendly and helpful owners. All this and White Tailed Eagle overhead. A lovely wee cosy place and very relaxing, exceptionally clean and with every thing you could need. The owners were welcoming and helpful. Highly recommended. Comfortable apartment with everything you need and 5* hot water all the time and an excellent shower to boot! 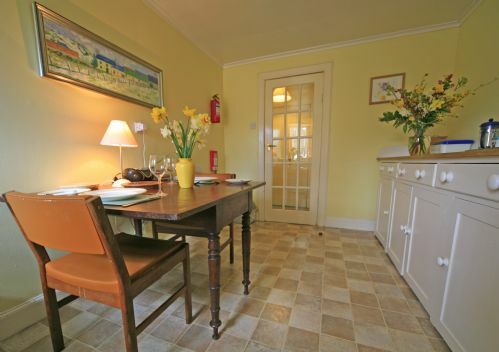 Located close to some excellent restaurants and beautiful scenery and the Isle of Lismore. I enjoyed my stay very much. Apartment is clean, comfy and cosy. Constant hot running water, big bathtub, a very comfy bed. Selection of reading material and dvds provided which helps when it rains. Satalite tv also. Owner very helpful and cheerfull. Also has lovely grounds. Enjoyed our stay here even if it was only for 2 nights . we were made feel very welcome. The owners were very friendly and helpful. there was lots of information about things to do. the double bed was very comfortable and for 2 people the accommodation was very spacious. The building is rather old, but this adds to the character of the property. Susie is helpful and discrete and everyone working at the garden centre is warm, enthusiastic and usually hard at work. 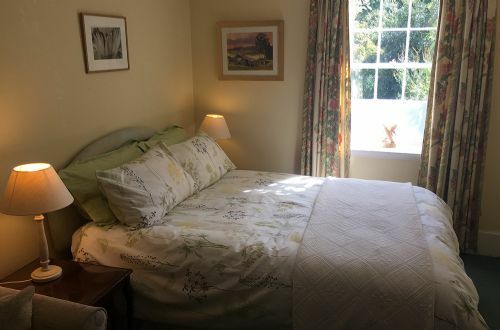 Corrie is a nice country room and kitchen with a great bath/shower - the apartment was cosy and comfy to return to and you are in one of the most stunning locations you could hope to visit. The garden is nice to wander through and there is a real commitment to environmental sustainability that made the experience most enjoyable. Our experience staying at Corrie was fantastic, the location was everything we wanted (secluded, quiet, amazing scenery), great for the outdoorsy type like ourselves..
We also got great service by the owners who made us feel very welcome when we were greeted and as we were leaving. The cottage was have fantastic upkeep and made our stay very relaxing and chilled out which was what we wanted. Corrie is perfect for a couple. Updated bathroom, spacious kitchen/diner and cosy bedroom/sitting room. Very friendly owners, and loads of information on the local area. Also good DVD and book selection for rainy days! Very good quality self-catering accommodation with helpful and friendly owners, in a stunning location with good access to lots of hiking, other outdoor activities and alternatives if it rains. Some very good restaurants in the vicinity, notably Airds, where French-Scottish fine dining makes for a real treat. Booking was made easy and the hosts were flexible, informative and kind. The accommodation sits in a grand and restful location. Corrie was the perfect place for us to explore Appin, Port Appin and Oban. Good location between Oban and Fort William. Quiet location away from the main road. Kitchen and bathroom newly done and good quality. Much of the furniture is pretty dated but functional. We booked as a couple with a baby in a travel cot which we wouldn't recommend as the accommodation is too small to allow them to have a quiet space. Not bad value overall. We had a wonderful 5 days stay at Corrie and have been charmed by this lovely holiday cottage. The cottage was very clean and we had everything we expected. 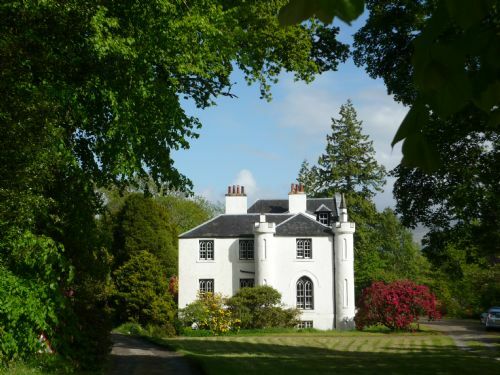 We found Kinlochlaich House on the Internet as we planned to stay in Appin and we are fully satisfied because of the very warm welcome and all the facilities. Susie has been extremely helpful when we managed to organise a sightseeing flight over the surrounding area from Oban Airport. We can say that this is the best self catering we ever had in the UK and will come again with happiness. The garden is one of these delightful places you have to visit. We very much enjoyed our stay. Corrie was comfortable with all the services for our needs. 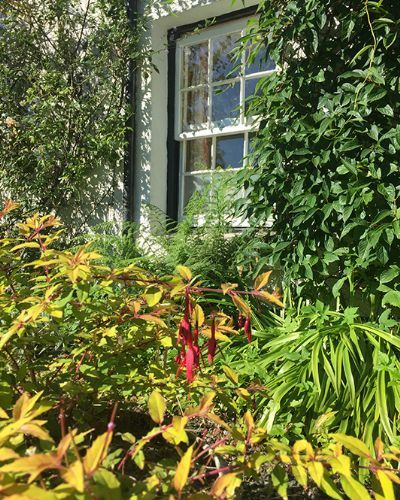 The House is set in a wonderful gardens and there is plenty to do locally.